Hobbits & Hairdye: Charlotte Chats | Mental Health & Stigma. Charlotte Chats | Mental Health & Stigma. This is a post that I've been meaning to do for a number of months but have increasingly put off for quite simply for lack of a better word - cowardice. The time for my cowardice is done & the time for courage begins now! What better day to begin than with World Mental Health Day. We all know the statistics, that 1 in 4 people will suffer a mental health problem during the course of a year! That is a staggering figure and still even with mental health being such a prevalent and common thing within in our society it is still unbelievably shrouded in stigma! In my second year of University I wrote an essay about mental health discrimination, particularly within the media. My research concluded that the representation of mental health within the media, both fictional & non-fictional is debilitating not only for sufferers but for the public perception of mental health. Two quotes during my study stuck out to me and I would like to share them with you. None of these representations portray mental health in a positive light, and from my personal experience of seeing mental health presented in films and television they are the most common representations. Sufferers of mental health are too often shown to be villainous caricatures or incapable crazy people, never to be shown to be what they actually are: regular human beings. All these negative representations do is enter societies subconscious and plant a seed of fear, distrust and misunderstanding which poisons society with these discriminative behaviours that sufferers of mental illnesses are far too used to experiencing. It is not just the film and television industry that fuels this fire, but press coverage also, a BBC article from 2000, shows a study done by MIND on how sufferers of mental illness feel the issue of mental health is portrayed. 14 years ago this research was done, just think how much the media has expanded since then and how much more of an impact it now has. I can't imagine that with the media as it is today that these figures will have got better. Thankfully as a society we've made leaps and bounds from 100 years ago, but there is still such a long way to go. 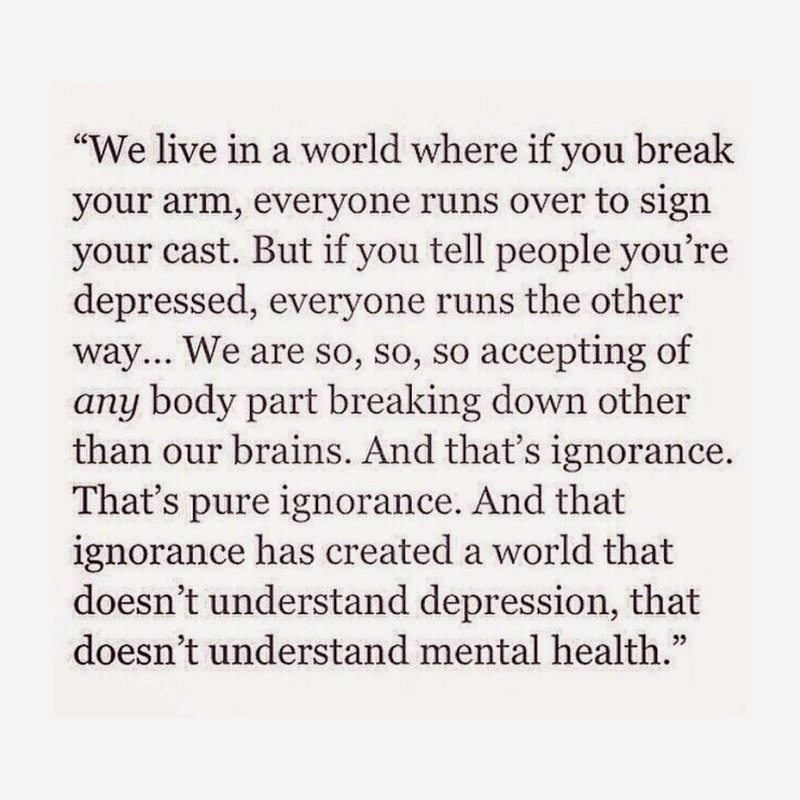 Thanks to organisations such as MIND and celebrity mental health ambassadors such as Stephan Fry, the true voice of mental health is slowly breaking down the barriers of discrimination and opening the doors for communication and understanding. If you know someone who suffers with issues of mental health then show them support, understanding and patience. Educate yourself on what it is they suffer with, all mental illnesses are complex and different and require understanding in order to be supported accordingly. The worst thing you can do is tear someone down or belittle them for feeling a certain way. Patience and the willingness to listen is crucial, it can often feel that a person is a burden if they share their feelings, so just offer them the chance to without making them feel that way. Possibly most importantly please don't isolate any individual who you know or think suffers with mental health problems, because believe me they feel isolated and alone enough already. If you yourself suffer from a mental illness of any kind or think that you may do, please don't sit in silence. Act on it, talk to someone, be it someone you know closely or not at all. Reach out and get help, its what you deserve. And most importantly please do not be ashamed or embarrassed. You wouldn't tell someone with cancer to 'just get over it' & you wouldn't tell someone who is in intense physical pain to 'stop making a fuss, you'll feel better soon'. So don't do it those who suffer with mental health problems. The brain is just as important as the body. Take care of yourself & take care of others.